John Locke’s treatises on government make frequent reference to the Hebrew Bible, while references to the New Testament are almost completely absent. To date, scholarship has not addressed this surprising characteristic of the treatises. In this book, Yechiel Leiter offers a Hebraic reading of Locke’s fundamental political text. In doing so, he formulates a new school of thought in Lockean political interpretation and challenges existing ones. 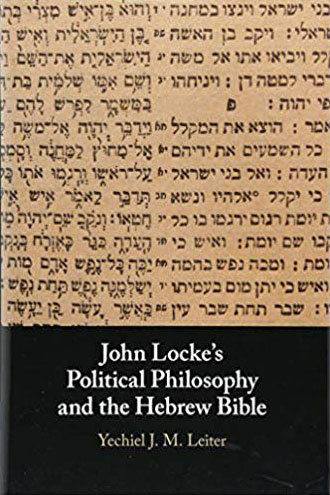 He shows how a grasp of the Hebraic underpinnings of Locke’s political theory resolves many of the problems, as well as scholarly debates, that are inherent in reading Locke. More than a book about the political theory of John Locke, this volume is about the foundational ideas of western civilization. While focused on Locke’s Hebraism, it demonstrates the persistent relevance of the biblical political narrative to modernity. It will generate interest among students of Locke and political theory; philosophy and early modern history; and within Bible study communities.